Geoff Diehl with a supporter after voting at the Whitman Town Hall. 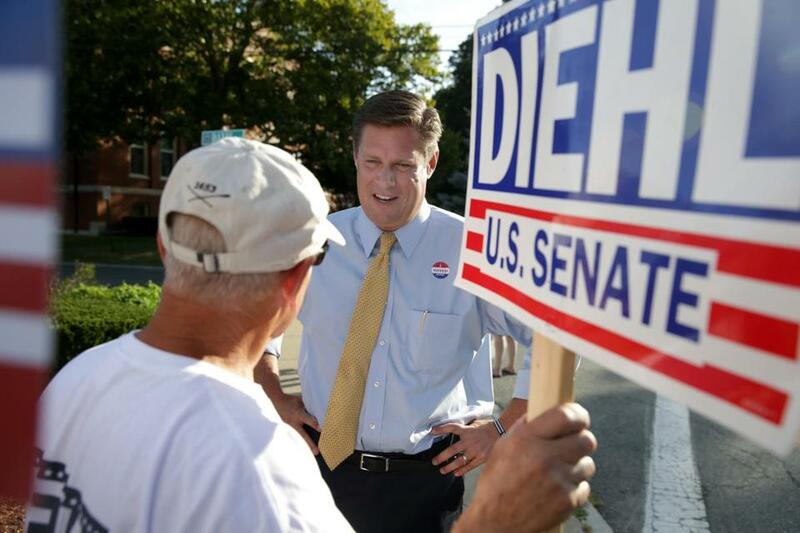 Geoff Diehl claimed the Republican nomination to challenge US Senator Elizabeth Warren Tuesday night, setting up a fiery showdown between a passionate supporter of President Trump and one of the Democrats leading the resistance against him. Diehl, 49, the most conservative and controversial candidate among the three Republicans, was declared the winner shortly after 9 p.m. by the Associated Press. He prevailed over Beth Lindstrom, a former state Cabinet official who managed Scott Brown’s upset Senate victory in 2010, and John Kingston, 52, a Winchester businessman. In unofficial results, with 80 percent of precincts reporting, Diehl had 54 percent of the vote, compared to Kingston’s 27 percent and Lindstrom’s 18.5 percent. Lindstrom, 57, is a small-business owner and longtime GOP activist who was the first female director of the Massachusetts Republican Party and served in former Governor Mitt Romney’s Cabinet. Though she picked up many endorsements from the Republican establishment, she was unable to attract the party’s rank-and-file activists, who backed Diehl. 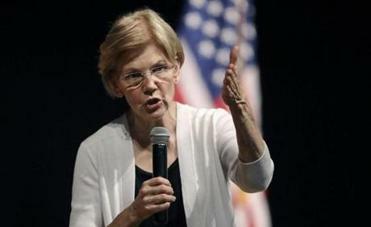 Elizabeth Warren has agreed to participate in three televised debates this fall. A state representative from Whitman, Diehl cochaired Donald Trump’s presidential campaign in Massachusetts and is known to many fiscal conservatives as one of the leaders of the 2014 referendum ending automatic gas tax increases. He picked up his party’s endorsement at the Republicans’ summer convention and was viewed as the front-runner in a midterm primary that would draw party diehards. But Diehl will face a very different electorate in November. Republicans are just 10.4 percent of registered voters. Massachusetts voters disapprove of Trump’s performance more than any other state’s, according to a recent poll by the Morning Consult survey. Jennifer Nassour, a former GOP chairman who served as Lindstrom’s finance chair, said Lindstrom was the only candidate who would have been able to compete with Warren. Warren, first elected when she defeated Republican US Senator Scott Brown in 2012, is widely expected to be a Democratic contender to challenge Trump for the presidency. “Warren now gets to mail in her Senate election and plan her run for president in 2020,” Nassour said. Whatever his odds of toppling Warren, Diehl is sure to present her with a feisty challenge from the right. Diehl picked up endorsements from former White House spokesman Sean Spicer, former US House speaker Newt Gingrich, and other Trump allies. He has been politically combative, showing up at Warren’s events and campaigning against her. Two weeks ago, his campaign launched an emotionally charged digital ad featuring the mother of a man killed by an undocumented drunk driver. While the ad relies on factually challenged statistics, it’s emotionally charged in contrasting Warren’s concern for reunifying undocumented mothers with their children with the grieving mother who will never be reunified with her child. “Senator Warren has had six years to be the kind of senator we can be proud of, but all she’s done is abandon her constituents and inflame tensions with divisive rhetoric,” said chairman Kirsten Hughes. Likewise, Diehl said in his victory speech, provided by his campaign, that Warren has let voters down by looking past Massachusetts and to her political future. Warren, meanwhile, who ran unopposed on the Democratic ticket, issued a statement on Twitter that struck striking some of the same themes. Also in the running for US Senate is Shiva Ayyadurai, a Belmont entrepreneur who dropped his Republican campaign to run as an independent.